Indian selectors will announced a 15-member contingent for the 2019 World Cup on Monday and while a majority of the squad picks itself, there is still debate over one or two spots. The selectors will take a closer look at a No4 batsman, reserve wicketkeeper or extra all-rounder when finalising the squad. The nucleus of the Indian ODI squad consists of captain Virat Kohli, openers Rohit Sharma and Shikhar Dhawan, veteran keeper MS Dhoni, quicks Jasprit Bumrah, Bhuvneshwar Kumar and Mohammed Shami, spinners Kuldeep Yadav, Yuzvendra Chahal and all-rounders Kedar Jadhav, Hardik Pandya. Left-arm spinner Ravindra Jadeja is almost certain to be penciled in as the spinner/all-rounder in the team as he offers a great fielding option as well. That leaves three positions in the squad, depending upon the requirements of the management. Here we take a look at three names who will be in contention to make the final cut. The Delhi wicketkeeper batsman solves many problems at one go. He is a wicketkeeper who can bat anywhere in the order, and is the most explosive hitter in Indian cricket. If MS Dhoni picks up an injury in the nearly two-month long tournament, Pant can keep wickets. But purely on his batting abilities, he offers a great and versatile option to Kohli. 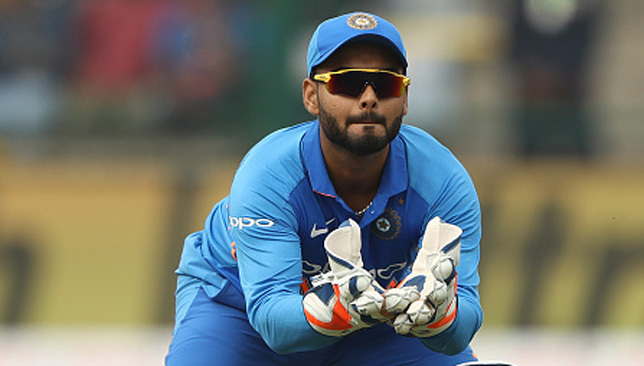 Dinesh Karthik is in the race for the reserve wicketkeeper’s spot but Pant should get the nod. The Karnataka player is a favourite of Kohli and offers an experienced option at the top of the order. Not only is KL in decent nick in white ball cricket, he can be a back-up opener and even bat in the top four should the need arise. Also, has kept wickets so won’t be the worst back-up to Dhoni. His experience in the international stage across formats make him a great option. Another all-round option who can do more than one job for India in England. The Tamil Nadu dasher has shown to be a more than capable bat at the vexed No4 position and has the temperament and power to change gears according to the situation. Shankar can clear any ground with ease and if the conditions are right, can bowl a few tight seam-up overs as well. NOTE: Reports have emerged that India will be carrying three reserve bowlers with them at the World Cup, which opens the door for the likes of pacers Umesh Yadav, Ishant Sharma, Khaleel Ahmed and IPL sensation Navdeep Saini to board the plane to England and be available should the first-choice quicks break down. Rohit, Kohli and Dhawan. Images: BCCI/Sportzpics. Generally, you wouldn’t look too much into T20 statistics when assessing a team’s chances in a 50-over tournament. But this year the scenario is different as the Indian Premier League ends in the same month the 2019 World Cup begins – May. 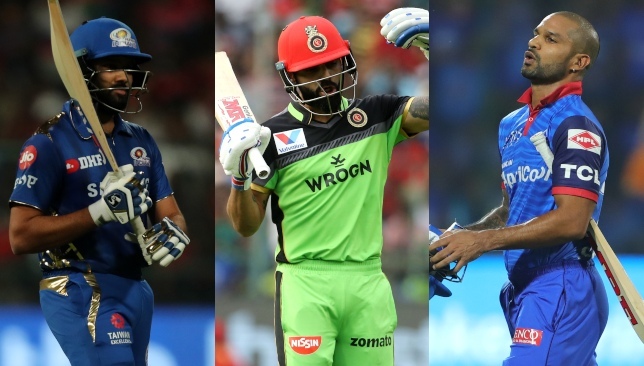 Since many sides are still finalising their World Cup squads, performances in the IPL are bound to be considered for the final few contentious positions in some teams. even if the decision makers don’t explicitly say so. Also, teams are keeping a close eye on how their top players are holding up in the tournament. A great or poor run in the T20 league in India can be expected to spill over into England, in some if not all cases. If that turns out to be the case, then the form of India’s World Cup batsmen should be a cause for concern. 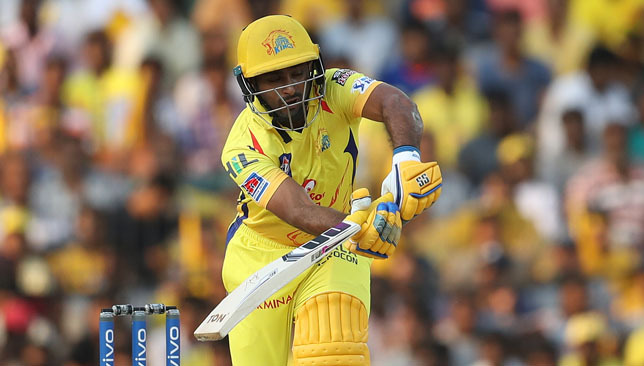 While batting has generally been tough so far this IPL owing to some notoriously difficult pitches, the sluggish form of almost all frontline Indian batsmen is perplexing. Here we take a closer look at their stats, as of April 8. For the record, Sunrisers Hyderabad batsmen David Warner (349 runs at a strike rate of 146) and Jonny Bairstow (263 runs at SR of 161) lead the run chart, while KKR assassin Andre Russell (207 at SR of 268) is miles ahead when it comes to hitting this season. The Mumbai Indians captain has not been at his fluent best in 2019. A few dodgy wickets in New Zealand and against Australia at home in ODIs meant Rohit couldn’t get off to flyers like he generally does. 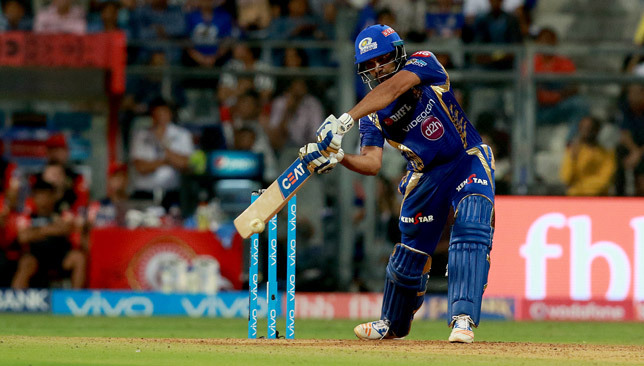 That difficulty continued in the IPL, with the Mumbai opener struggling to either score runs or bat at a higher clip. If the ‘slump’ continues, then there is no guarantee that things will brighten up at the World Cup even if India play on a flat wicket. The other half of India’s white-ball opening pair is clearly struggling at the moment. Brought in by Delhi Capitals to strengthen their top order, the southpaw seems to have lost his spark with neither his footwork nor striking abilities inspiring confidence. His Capitals opening partner Prithvi Shaw, however, has looked like a million dollars whenever he has spent time at the crease. And that will only add more pressure on Shikhar going forward as the teenager is likely to take his spot in the Indian white-ball team soon. Also, Kings XI Punjab opener KL Rahul has scored three fifties already this season and although his strike rate is 122, Rahul looks a lot more assured at the crease and could take Dhawan’s spot at the World Cup. The Royal Challengers Bangalore captain is having a horror time as a leader and less so as a batsman. The runs are coming, but nowhere near the rate at which it should, especially given the travails of his hapless team. While the best ODI batsman in the world should be able to churn out the runs at the World Cup, his low strike rate – compared to that of fellow struggler AB de Villiers (157) – shows Kohli is consuming balls at the crease at a time when batsmen like Russell and Hardik Pandya are smashing it all over the park. He was declared the long-term India No4 ODI batsman by captain Kohli, but has since struggled to cement his position. His IPL form for Chennai Super Kings has been poor, to say the least. Not only has he been unable to get any runs under his belt, Rayudu has also failed to change gears. If his issues continue in the IPL, the India team management will have second thoughts about putting him in the crucial No4 position in a tournament like the World Cup. Another batsman fighting for a spot in the World Cup squad. The experienced Kolkata Knight Riders wicketkeeper batsman has failed to replicate his good form in international T20 cricket in the IPL. With Rishabh Pant batting in overdrive, it will be very difficult for Karthik to enjoy the confidence of the Indian management, even if the official statement says the IPL won’t be considered for final selection. KL Rahul and Hardik Pandya. 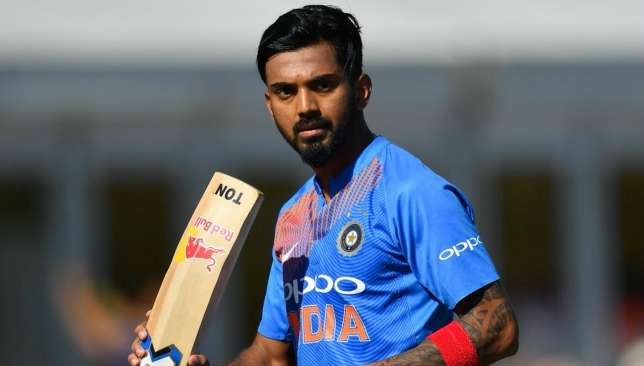 India pair Hardik Pandya and KL Rahul have been summoned to hearings with the Board of Control for Cricket in India (BCCI) in relation to their ongoing suspension from the national team. Rahul and Pandya, both of whom have featured in all formats for India, were suspended over remarks that were widely construed to be sexist during an appearance on the talk show Koffee with Karan in January. BCCI ombudsman Justice DK Jain has set up hearings with Pandya on April 9 and Rahul the following day to listen to their version of events. They will not be compelled to attend, with Justice Jain telling ESPNcricinfo: “I have sent them the notice. It is for them to appear or not. The all-rounder has become an important part of India’s plans, with his Test batting and bowling averages both just over 31 after 11 matches. He has 44 wickets in 45 one-day internationals and 36 in 38 Twenty20 games, with over 1,000 runs across the two formats. Rahul has played 34 Tests, scoring 1,905 runs including five centuries, and 41 limited-overs internationals with centuries to his name in each format. The pair are currently both playing in the Indian Premier League, with Rahul’s Kings XI Punjab in action away to Pandya’s Mumbai Indians on April 10 – the date set for Rahul’s hearing.